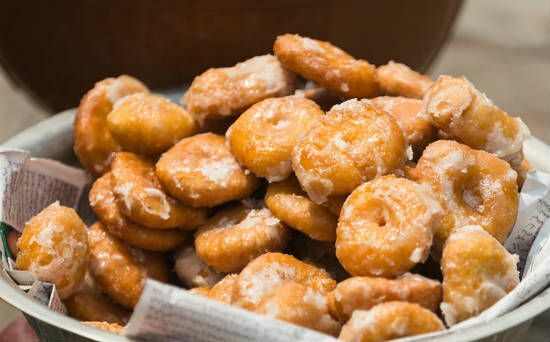 Badusha is a traditional and very popular South Indian sweet typically made during weddings, Diwali, Tamil New Year and other festive occasions. 2. Add 1/2 cup of water and bring to a boil. 3. Simmer until it reaches an one string consistency. 5. Mix the butter, cooking soda, 1 tsp sugar and oil in a bowl. 7. Add the curd and gradually add the maida. 8. Mix well for 15 to 20 minutes without any lumps. 9. Add enough water and mix well until smooth. 10. Make small balls of the dough and keep them aside. 11. Heat 2 tsp ghee and saute the stuffing ingredients. 12. Shape the balls into a small cup. 13. Add some of the filling ingredients and fold well. 13. Roll them again and flatten them lightly. 14. Heat oil in a frying pan over medium flame. 15. Deep fry until light golden brown and remove. 16. Drop them in the sugar syrup and keep them aside for a few hours. Feel free to comment or share your thoughts on this Stuffed Badusha Recipe from Awesome Cuisine.